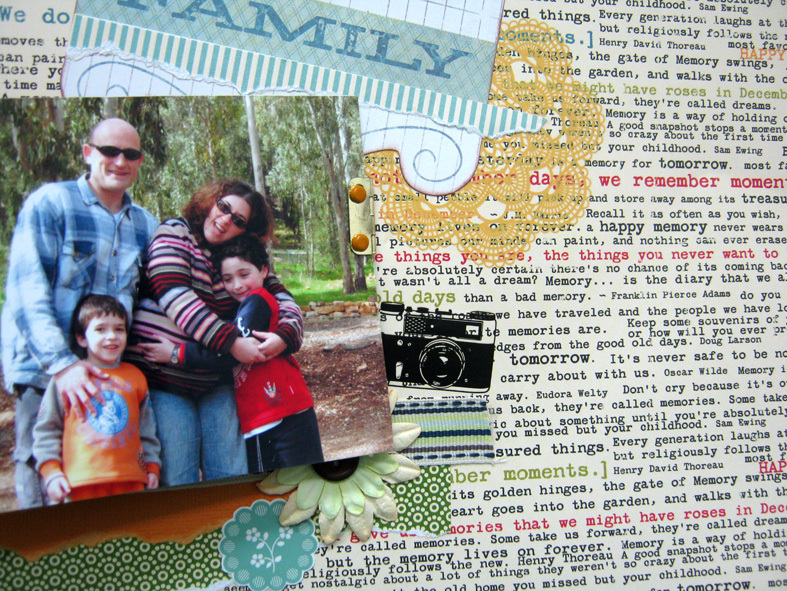 I shared with you before my passion for interactive scrapbooking. 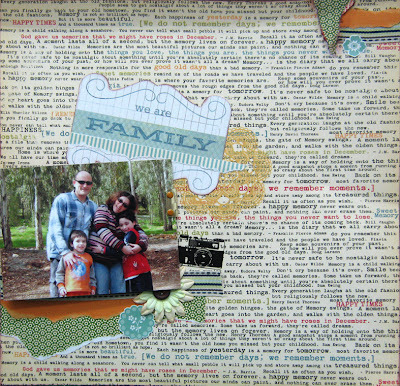 I don't know, something about moving parts in a scrapbook layout just does it for me. 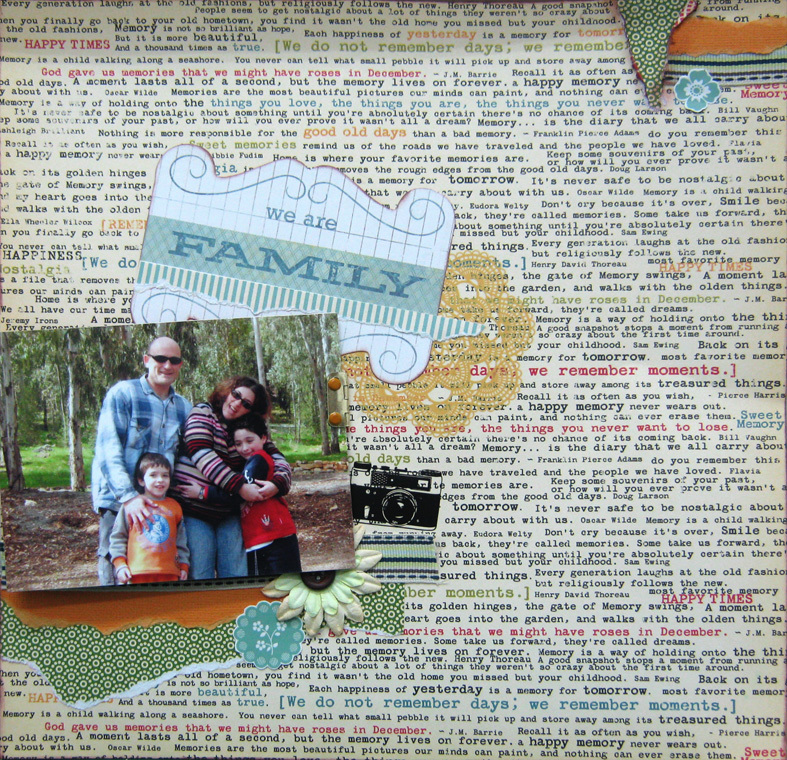 Interactive scrapbooking can be anything as long as you have to discover a hidden secret, a photo or a message. It can be hidden in a small booklet, a turning wheel or even a pocket. This time it's hidden behind a door! But not just a regular door, but a two sided photo door and just like any door it has a hinge that keeps it attached to the paper. 1. You will need two photos in the same size. I used 4" X 6" photos. It is the same photo, one in colors and one in black and white. 2. Attach a hinge to one of the photos using two brads. I used regular hinges I bought at the hardware store. 3. Adhere the other photo to the back of the first photo, hiding the legs of the brads. 4. Attach the hinge to the paper using two brads. 5. 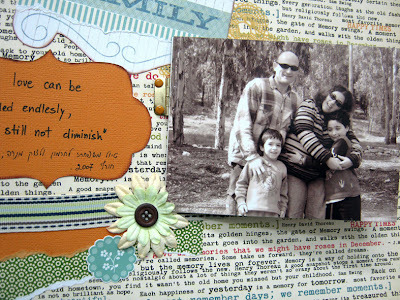 Add a hidden message or journaling behind the photo door. This is a DT layout I created for My Punch's Kit of the month Club. Try it! It's really fun creating interactive scrapbooking! מקסים! ולא פחות חשוב: הזכרת לי שאני צריכה להעלות לבוג את הדף לספר השמן שהכנתי בזמנו לחתולי... השתמשתי שם בטריק דומה תודה - על ההשראה ועל התזכורת!. 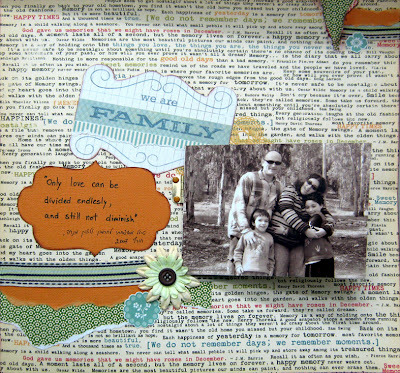 I agree..it brings such a fun element to a LO...I haven't done something like this in a while.Thanks for the idea...it looks great! משגע!!! והרעיון של הדלת...עוד יותר נהדר!